Help us raise money for Desbarats area birds! For more information, please contact Carter at carterdorscht.tkc@gmail.com or 705-782-2200. 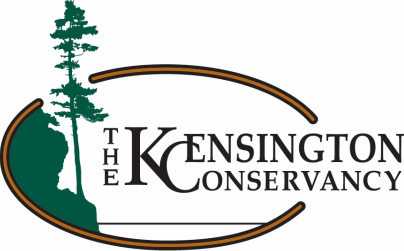 Join The Kensington Conservancy (TKC) for a Birding Big Day and help raise funds for bird conservation in the Desbarats area! The goal is to go out and record as many different bird species as you can throughout the day within the Central Algoma area. This will be a friendly competition in an effort to raise funds to help protect local birds. You do not have to be an expert birder to participate. You can do it either solo or as a team. The potluck will be taking place at the TKC Conservation Centre, located at 69 Boyer Drive in Desbarats. Doors will open at 4:00pm with the potluck and species tally starting at 4:30pm. All proceeds will be used for a bird related conservation project in the Desbarats area. Participants who donate $35 or more will also receive a TKC membership, if they are not already a member. Donations can be made in advance through the TKC website (select Birding Big Day from drop down menu), at the TKC Conservation Centre during business hours, or at the potluck. You are not required to participate for the full nine hours, but the longer you spend, the more species you are likely to see. Participants are also encouraged to take as many photos throughout the day, both of birds and people birding. In addition to recording each species that you observe throughout the day, all participants are encouraged to submit their sightings to eBird.org.